SCRIPTURE: I have not spoken in secret, in a dark place of the earth: I said not unto the seed of Jacob, Seek ye me in vain: I the Lord speak righteousness, I declare things that are right. Isaiah 45:19. THOUGHT FOR THE DAY: Dedication attracts the Presence and Secrets of God to the dedicated. In our study yesterday, we saw the need to seek God first above other things in life; we saw that people who seek God first in life never come out last in life. Therefore, dedication is key to distinction in life. Today, it is very important to look at the dividends of seeking God first in life. There are dividends that are attached to the lifestyle of dedication to God. There are dividends to be enjoyed by the dedicated. God has not called us to seek Him in vain (Isaiah 45:19). So, what are the dividends of dedication? Abraham had access to God’s Presence and Secrets because he was brutally dedicated to God. In Genesis 18:17-18, God revealed to him what He (God) wanted to do even when Abraham did not ask Him. So, dedication attracts the Presence and Secrets of God to the dedicated. When there was no food in the whole land of Israel, Elijah, a dedicated person and prophet of God, had continuous supernatural supplies; God sent a raven to feed him and also multiplied the food of the widow for his sake (1 Kings 17:11-16). Shadrach, Meshach and Abednego were cast into the burning fiery furnace as a result of their dedication to God but God stepped into the furnace with them to confirm that He does not abandon the dedicated (Daniel 3:25). When you are dedicated to God, He steps into every challenge of your life to rescue you. Beloved, my counsel is, make up your mind to be totally dedicated to God. Remember this: Dedication attracts the Presence and Secrets of God to the dedicated. 1. Make up your mind to be dedicated to God at all cost. 2. Decide not to serve God because of what you can get from Him but for Who He is. PRAYER: O Lord, I ask for the grace to be dedicated to You and committed to the cause of Your Kingdom. Help me to serve You unconditionally, Lord in Jesus’ Name. FOR FURTHER UNDERSTANDING, GET THIS MESSAGE: UNDERSTANDING DEDICATION (PART 1). DAILY READING: Genesis 23:1 to 24:51, Matthew 8:1 to 17, Psalm 9:13 to 20, Proverbs 3:1 to 6. TODAY IN HISTORY: 10/01/2007: The iTunes Music store reached 1.3 million feature length films sold and 50 million television episodes sold. AMAZING FACT: A Pilot must have 20/20 vision with or without corrective lenses, to become a civilian airline pilot. QUOTE: Deficiency and shortage in life is a product of existing independent of God. 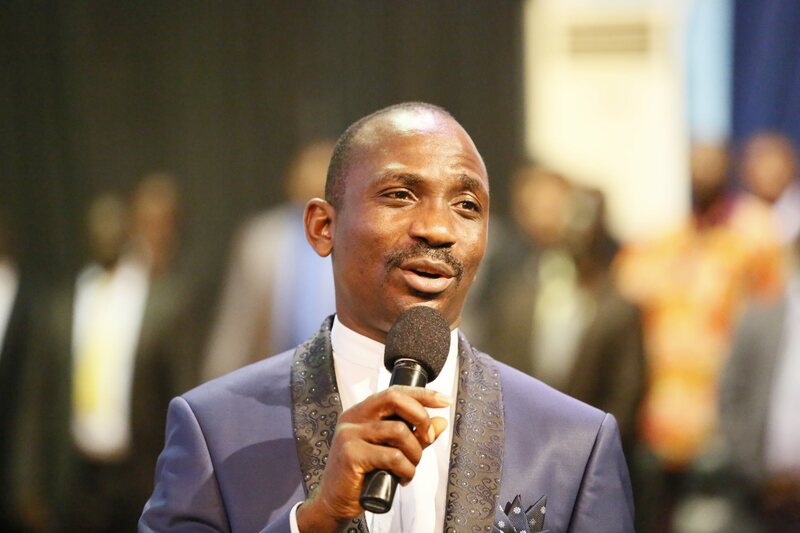 Culled from 21 FOOLISH THINGS PEOPLE DO by Dr Paul Enenche.